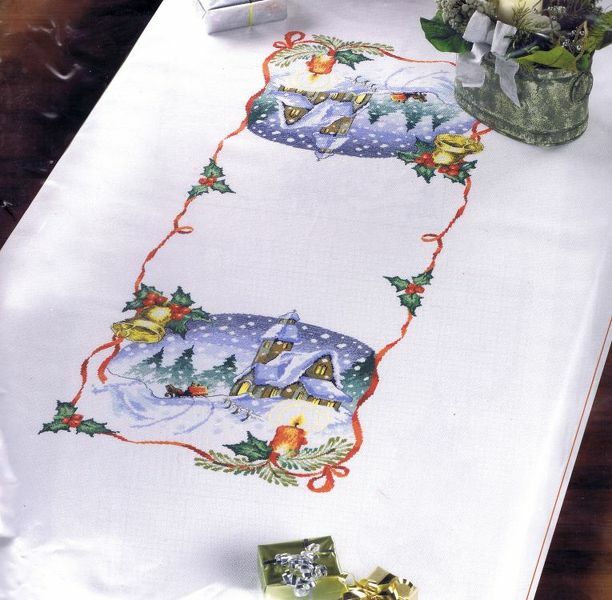 A stunning cover for your Christmas table with snow scenes, red ribbon, holly and candles. The large scale black and white charts are printed 10 stitches to one inch on four A3 pages showing one half of the design as both sides are identical. The pattern is worked in cross stitch and backstitch using 27 shades of stranded cottons. The snow scene is worked over 200 by 170 stitches.